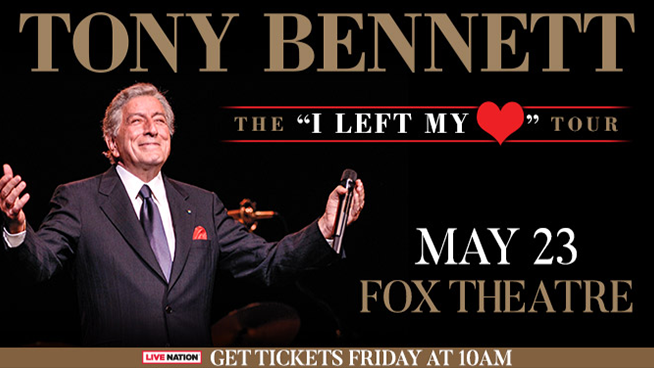 760 WJR invites you to experience Tony Bennett in concert when he brings his “I Left My Heart” Tour to the Fox Theatre on Thursday, May 23. Tickets available for purchasing starting at 10 am, Friday, February 15. For more info, visit www.LiveNation.com.